Oreoluwa Somolu Lesi is the Founder and Executive Director of the Women’s Technology Empowerment Centre (W.TEC). Somolu worked for several years in the United States at an educational non-for-profit organisation on a number of projects, which explored the interplay between gender and technology and which sought to attract more girls and women to study and work in science and technology-related fields. She has a Bachelors degree in Economics from Essex University, U.K, a Master’s degree in Analysis, Design and Management of Information Systems from the London School of Economics & Political Science and a Certificate in Applied Sciences from Harvard University’s Extension School. Her interests are the applications of technology in improving lifelong learning and also to raise the economic and social conditions of people (especially women and children) in the developing world. Somolu also has some research experience, which includes working on the Gender Equity in Math and Science (GEMS) project, while working at the Education Development Center in MA, U.S.A from 2001 to 2003. 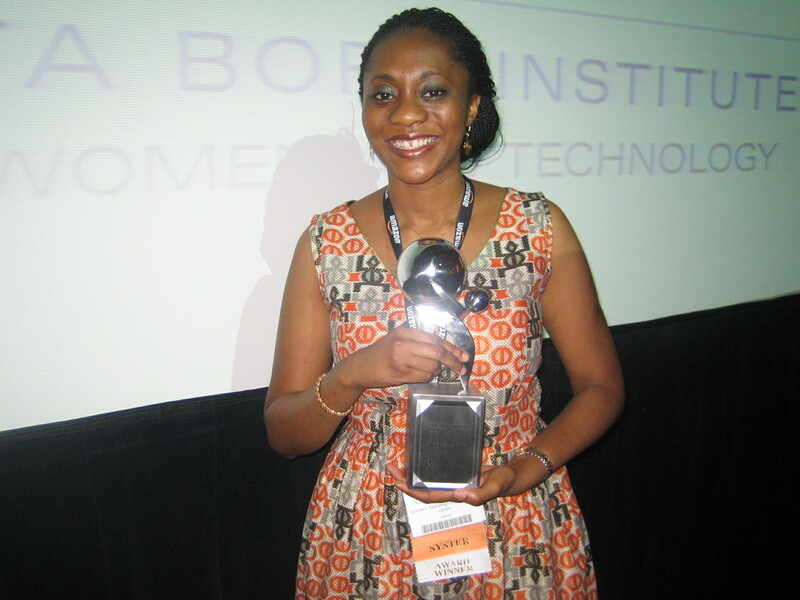 She is a 2014 Vital Voices Lead Fellow, 2013 Ashoka fellow and a recipient of the Anita Borg Change Agent Award for her commitment to issues of women in computing in Nigeria. It was while volunteering in a downtown Boston community centre and women’s shelter, that Nigerian-born STEM enthusiast Oreoluwa Somolu realised the severe lack of awareness around the benefits of using technology. Every day she would teach women and children from across different parts of the US city how to use computers, answering questions and offering guidance on web design and basic programming. It would often surprise her how “mysterious” computing was to many, but made her fully grasp the profound impacts technology could have on people’s lives. Somolu had herself only found out the benefits of using technology by chance while waiting for her university entrance exam results. With a computer school close to her house in Lagos, Nigeria, she decided to sign up for the longest course on offer. “I was fortunate to have a computer in my home growing up as my parents, both engineers, loved to use and explore new technology. I played games and wrote stories on it, but thought that was all it was good for,” says Somolu. 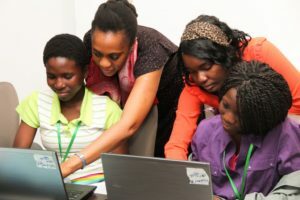 Attending a computer school in the early 1990s, Somolu became hooked on the advantages of using technology and was given an old laptop by her father when she left home to start university. While studying economics in the UK, she would type up essays for other students, often the night before a paper was due. It was however enough to inspire her to study for a Master’s at London School of Economics (LSE) in Information Systems, which explored the role of technology in economic development and personal empowerment. At LSE, she would spend her spare time reading about technology policy and soon realised how few women were operating in that space. Somolu studied hard and during her Master’s looked at her home African continent trying to fathom why it was such a male dominated industry. Following her Master’s, she spent a number of years in the US working as a research assistant at the non-profit Education Development Centre. Here she was part of a team that ran projects primarily aimed at getting more middle school and high school girls interested in science and technology. It was through volunteering outside of this at local women’s shelters in Boston that really left a lasting impression with her, as she moved back to Nigeria in 2005. On returning home, she set up a mentoring project for secondary school girls aged 11-16 years-old teaching them to blog, become more confident using the computer and learn how to use the internet. In 2008 Somolu’s dreams were finally realised as she set up the not-for-profit, werment Centre (W.TEC). Its aim was to firstly introduce young girls to computing, teaching all the basics. Second was to encourage them to think of pursuing technology careers in computer science and information technology. The centre also set up workshops with older women teaching them the benefits of computing both in their personal lives and at work. Somolu notes that a lot has moved on since they first opened their doors to the community. In the first year workshops would revolve around basic technology, from turning on a computer, to controlling a mouse or creating a file. Now young people are becoming far more advanced with using technology, the centre has adapted its programme to teach programming, website design, HTML and video production. Many of the girls come from backgrounds where role models and education are not taken for granted. In most cases, the students have never had access to a computer either at their school or at home. Despite this, Somolu believes the Nigerian government is working hard to equip state schools with some form of basic computer facilities. In almost seven years W.TEC has made quite an impression on the technology industry in Nigeria. From designing mobile apps, learning the business strategies of software development, to learning about digital advocacy for championing social causes, women, both young and old, have learned technology skills and literacy in an engaging and fun manner. Somolu’s key to success is through the variety of programmes the centre offers in classes, workshops, presentations, excursions, technology camps and career talks, all run by a just four staff members and volunteers. 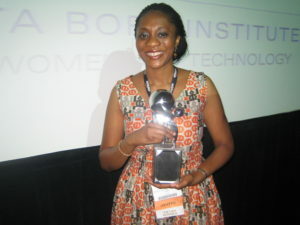 Her successes have not gone unnoticed in recent years as she was voted in the top 10 most influential African women in science and technology by IT News Africa. If that wasn’t enough, Somolu also spends her spare time running a cyber café and bookstore in her local town. However, her focus remains solely on the progress of girls at the centre, in the hope of establishing a network of technology literate alumni and mentors. The long-term goal to increase the numbers of Nigerian women using technology productively for learning, professional and leadership activities is already well under-way. The centre is also doing research examining how African women use technology, the barriers preventing or limiting technology use, and strategies for more efficient technology use. Somolu grins with great pride when she talks of the success stories of her students at the centre. “It is so rewarding to see our early students doing so well now. Some have set up businesses; others have imparted knowledge on their families and helped build websites. If you’d asked me whether this was possible sat back at my computer playing games as a young girl, I’d have said you were mad. I could never have imagined this,” concludes Somolu.